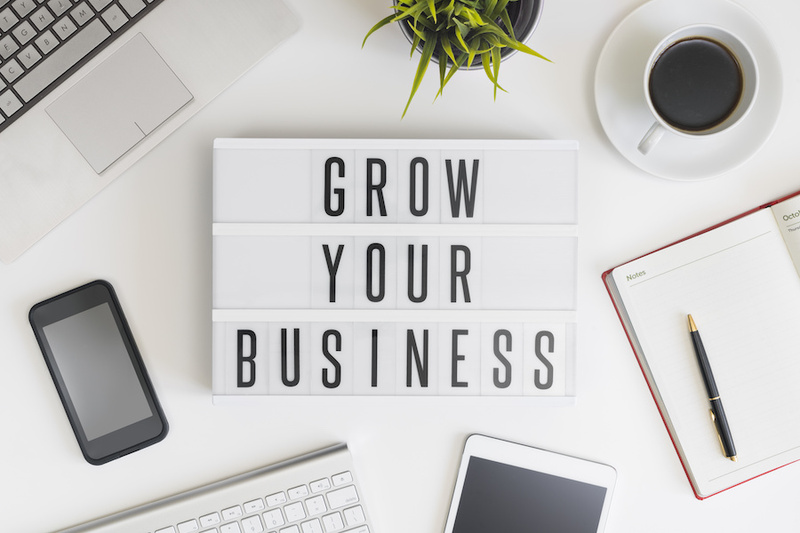 Growing Your Business | How Do I Grow My Business | Simon Knox Ltd. Expanding the range of specialist areas you cover. After you have determined your unique goals for how to grow your business, the absolute most important aspect in ensuring you make it happen is simply being dedicated to the goal and devoting time to each step of the process. Of course, a targeted strategic plan is much more detailed, but I have found the following steps crucial to growing any business. Plan: Plan very specific goals for growth. Don’t simply state, “Increase revenues,” but instead “Increase revenues by 20% year over year for the next three years.” Also, don’t set arbitrary goals; make sure they are relevant to your business and challenging but achievable. Evaluate: Consider what you have done in the past and whether or not it has worked. Look at what has been successful – and what has not worked – for your competitors. Research current trends in your market and predictions for the economy. Seek input from staff and customers regarding their experience. All the information you gather should be used to develop a realistic step-by-step plan. Implement: As I have discussed before, nothing changes if nothing changes. Now that you have developed a plan, you must implement change and garner enthusiasm and buy in from key players throughout the business. If something doesn’t seem to be working as anticipated, re-evaluate and redirect as necessary. Delegate: When possible, delegate to trusted and key staff. Help them understand the importance of the goal and also the importance of their role in the process. Determine which aspects of the goal need your full, undivided attention and which can be passed along to other individuals. However, be sure to always have an active presence and ownership over the growth of your business. Review: Set up periodic reviews to ensure you are meeting growth targets: weekly, monthly and year end. Consider what is working and what needs to be changed. Determine which employees are advocates for the change and which need to better understand the growth goals for the business. Even if you are on target to meet the growth goals, set stretch goals and try to exceed original expectations. Although this process seems relatively straightforward, I’ve found that most dental practices– in fact it seems like as many as 90% – are simply content with the way their business is today. They might not have the vision to see the opportunities for growth or they may not have the dedication that it takes to grow a business; whatever it may be, they focus on day-to-day operations and fail to look ahead to the future. On the other hand, it seems as though only 10% of practices today are truly willing to do what it takes to actively grow their business. So, I challenge you to answer this simple question: Are you in the 90% or are you in the 10%? Are you content with the way things are, or do you wish to see your business grow and reach its full potential? There is certainly no shame in being in the 90% - many business owners know they are there and want to remain in that comfort zone. But if you WANT to be in the 10% – if you want to see your business grow and thrive – I encourage you to call me today so that together we can plan your business’s growth and make this year your best year yet.